Mk Mobile Locksmiths has been around for a long time, I can offer a lot more for your dollar not like the bigger companies .With 32 years of experience in the industry, you can be confident that you are dealing with a real professional emergency Locksmith in the Cheltenham and Parkdale areas.Also having a working with children licence, security industry licence that gives you are dealing with a trusted person in the Locksmith industry; I can offer better pricing on all the major brands due to reduced overheads that I can pass onto you the customer. Therefore if you have lost your house keys, locked out of your home you can count on fast 24 hour mobile service. 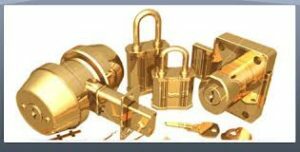 My pupose is to bring to you efficient, and personalised services for all your locksmiths needs whether it is locksmiths requirements in Cheltenham, Parkdale or anywhere in the South Eastern Suburbs of Melbourne. I can have experience to cater for Locksmith services home or even big commercial properties. Over the years i have developed very good relationships with large companies that require stability in their security and look forward to growing with your business. Some of the companies I deal with are Councils, retirement villages, schools and a variety of factory business along with home re keys or new lock replacements.